Beloved reader, let me introduce you to my friend siggi with a lower case s. Siggi has brought you a treat from his native Iceland, Skyr. Pronounced skeer, this strained yogurt is particularly high in protein with not a lot of sugar. In fact, even his sweetened flavored Skyr have more protein than sugar. Siggi’s is special. Beside the uber (how do you say uber in Icelandic?) important sugar content, siggi’s yogurt has lots of NOs. The ingredient list is short, there are 5 types of live cultures, and a jolly good amount of protein (13-15 grams per container depending on the flavor). To make it even more unbelievable, siggi’s is sourced from family farms in Upstate New York. In other words, there are a lot of reasons to feel good about eating siggi’s. 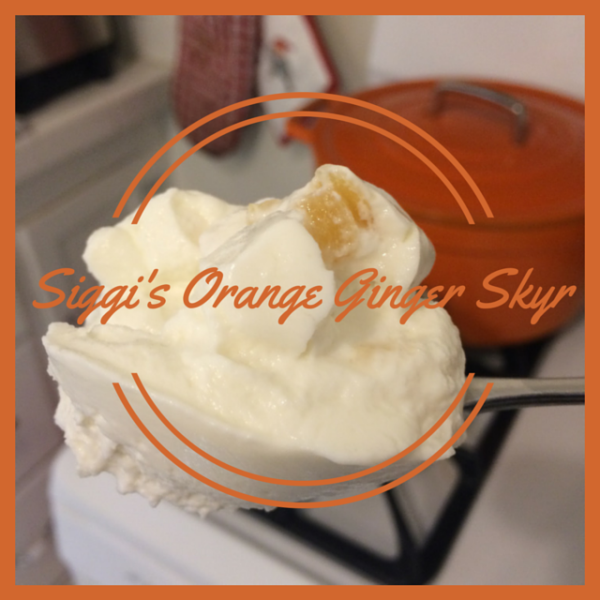 Siggi’s skyr can be substituted in recipes for sour cream, mayonnaise, oil, cream cheese, buttermilk and butter. Wow, what a multitasker! Oh yeah, and siggi’s doesn’t just have their amazing skyr yogurt! They also have a great substitute for all those nasty yogurts that you may be feeding your kids with aspartame, food dye, and preservative (forgiven, just stop now!). Called yogurt tubes, each serving has 6 grams of sugar or less, which is 60% less than the leading nasty yogurt. And for a happy gut, there’s a kefir-like Filmjölk and a probiotic drinkable yogurt with 10 BILLION Lactobacillus acidophilus per serving. 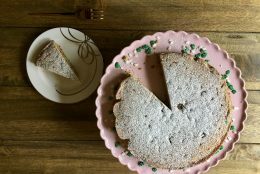 As an ambassador for Iceland, I mean siggi’s, I received coupons and was beseeched to share a recipe with you. 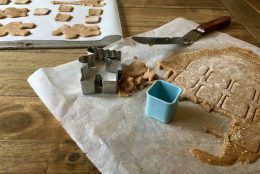 There is an awesome toolkit with recipes that are really easy for kids to make, a super simple homemade dog treat, and culinary creations like a post-workout green smoothie and gluten-free zucchini spice bread. Guess which one I picked to share with you. Preheat oven to 325 degrees F. Butter and flour a 9×5 inch metal loaf pan. In a large bowl, whisk flour, baking powder, baking soda, salt, cinnamon, and allspice. In a separate bowl, mix together sugar, eggs, oil, siggi’s yogurt and vanilla extract. Add the wet ingredients to the dry ingredients and stir until just incorporated. 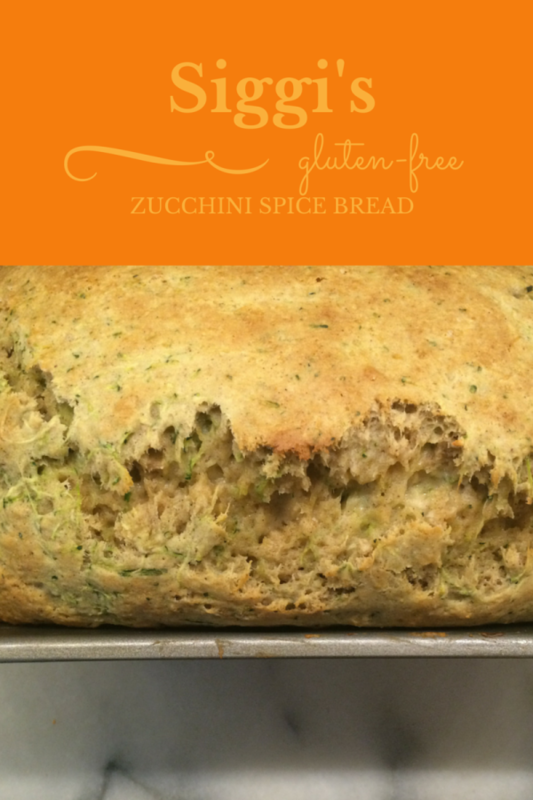 Fold in the grated zucchini then pour the batter into the prepared loaf pan. Bake for about 40 minutes, or until a toothpick or cake tester comes out clean when inserted in the center of the bread. Learn more about siggi, his story, skyr and get more recipes without going to Iceland (though I wouldn’t mind going)!